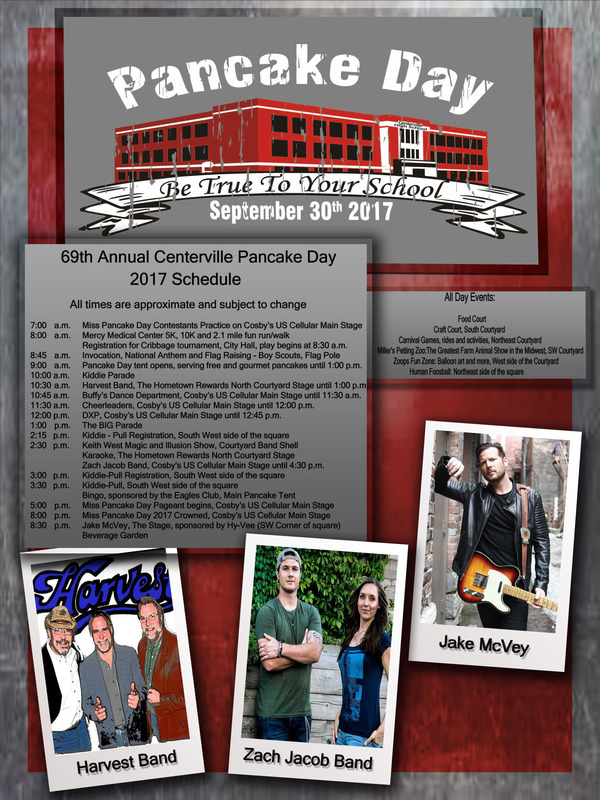 While the theme is a nod to our very own CHS building turning 100 (WOW! ), we can't wait to hear what being true to your school means to you! Does being true to your school bring back days of walking down the halls of Centerville High School? Or maybe it's your first college game you ever attended. Whatever it is (and we'd love to know! ), celebrate with us on Saturday, September 30th. 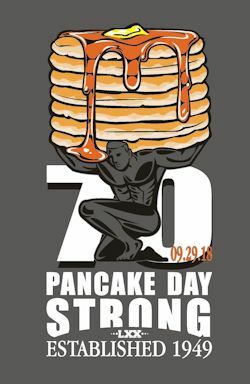 The Pancake Day Committee is excited about this theme and we cannot wait to see the floats and school pride that will show up during Pancake Day! Shirts, long sleeve shirts and sweatshirts are available NOW to purchase! 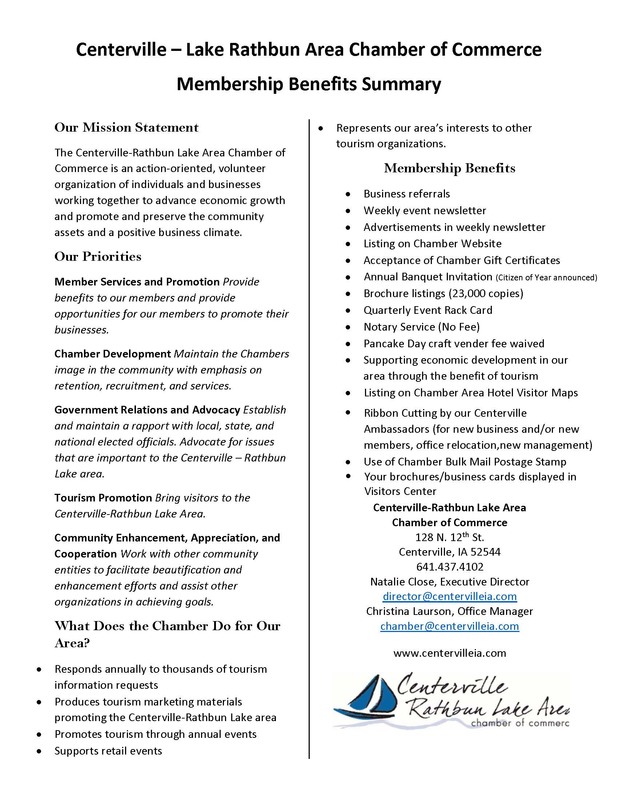 Contact the Chamber at: 641-437-4102 OR email Chamber@centervilleia.com to get yours today! Due to the Chamber by September 1st.